From living in a tent under an overpass to living in an apartment of his very own, one man finds his place. 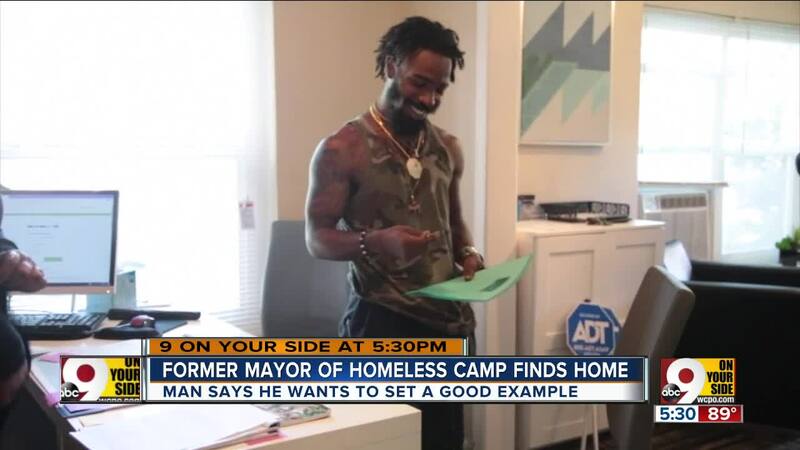 CINCINNATI -- Tuesday brought a big change for the former ‘mayor’ of the homeless camp at 3rd Street and Plum Street. The man known as Bison received the keys to his very own apartment. When we first talked to Bison, he said he wanted to be a minimalist and that he didn’t want housing. He wanted to stay outside. Now he’s decided to take the housing to set an example for others to do the same. The Ohio Valley Goodwill said Bison is the first person from the disbanded homeless camp that was placed in affordable housing. Bison said a handful of other people living in his camp were placed in affordable housing through other organizations. According to Kevin Finn with Strategies to End Homelessness, Bison’s placement puts him in the minority. Homeless outreach organizations in Hamilton County only have the funding to provide affordable housing to one in ten people experiencing homelessness. “We cannot let the public or our politicians forget that there are a lot of people out there who still need help,” Maslow’s Army board member Jeff McDowell said.